Drive Hwy. E-16 to Evanger. This is about 20 kilometer from Voss in the direction to Bergen. Measure from the exit to Evanger. Cross the narrow bridge and continue left. 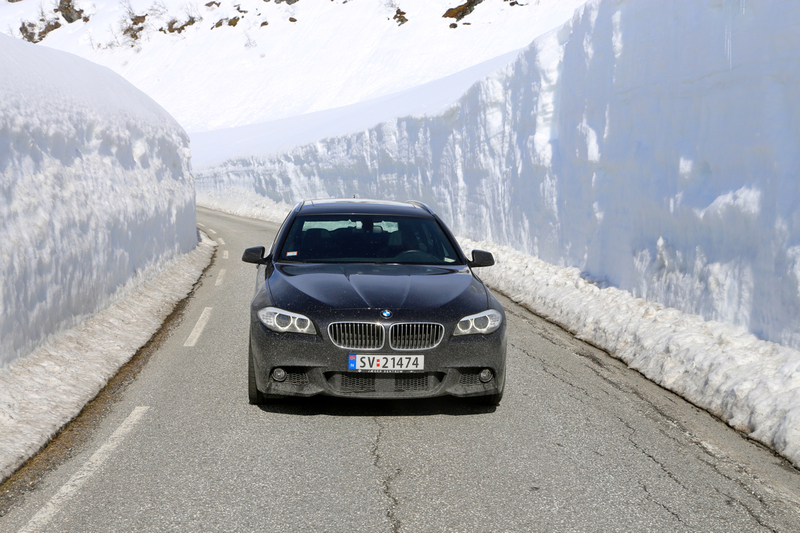 Drive 12.2 kilometer, going uphill, make a sharp left direction Eksingedalen. The road crosses a local mountain pass before descending to Eksingedalen. 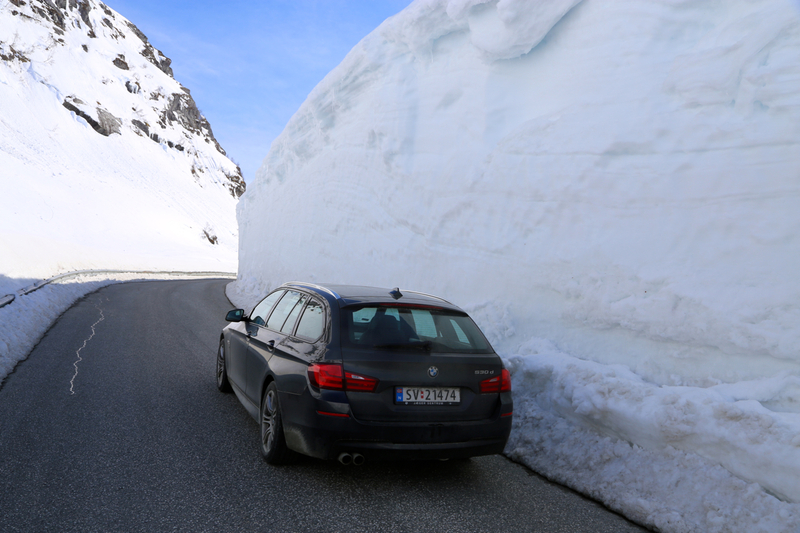 The road is narrow and there may be quite a bit of snow, so drive carefully. At kilometer 23.4 you are down in the valley at a place called Nesheim. Make a right turn here. Continue to kilometer 28.9. A smaller, dirt road forks left going up Norddalen. This road may (perhaps?) be closed in winter. Continue 3.8 kilometer, that is to kilometer 32.7. Find parking here. This location is N60.85561, E006.18388, elevation about 715 meter. From the trailhead, go directly west. Your route should go more or less directly to the pass named Heimsta Belaskaret, elevation about 1060 meter. Turn left (south) and ascend about 100 (vertical) meter along easy terrain. I left my car at 1205 and skied directly towards the col. The descent on the far side was a bit steeper than anticipated, but did not cause any trouble. 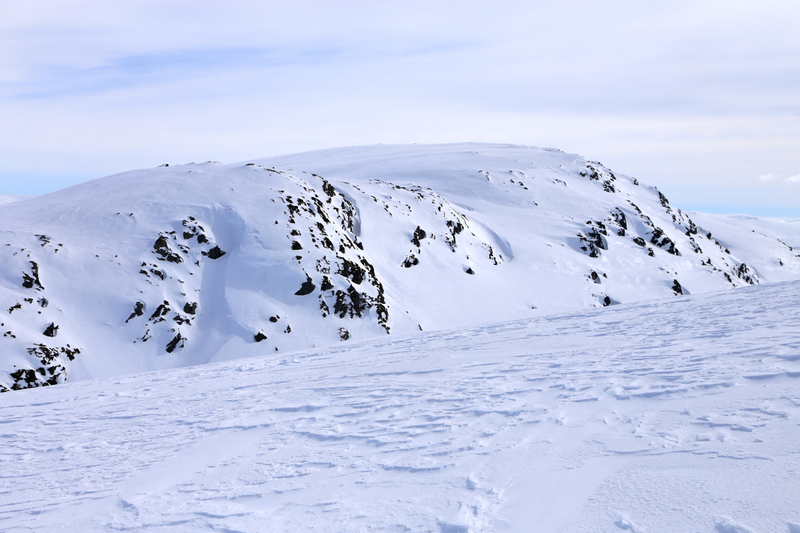 I skied directly up (steeply) on the far side, then much more gently to the summit, arriving there at 1345. It was pretty cold as a near gale wind hit me from the north. Leaving at 1355, I followed the same route back to Heimsta Belaskaret. Here, I decided to include Trollahorgi in my trip before skiing back to my car. I arrived at this summit at 1445, then skied downhill towards my car. Returning at 1515, seemed close to ideal. A very nice drive home to a warm sauna followed by a Heidi special Saturday dinner. Trollahorgi, as seen while descending Skjerjavasshovden.